We first came upon this tree several years ago, after reading a short article on its existence. It took a lot of foot-work and several attempts before we finally found it. 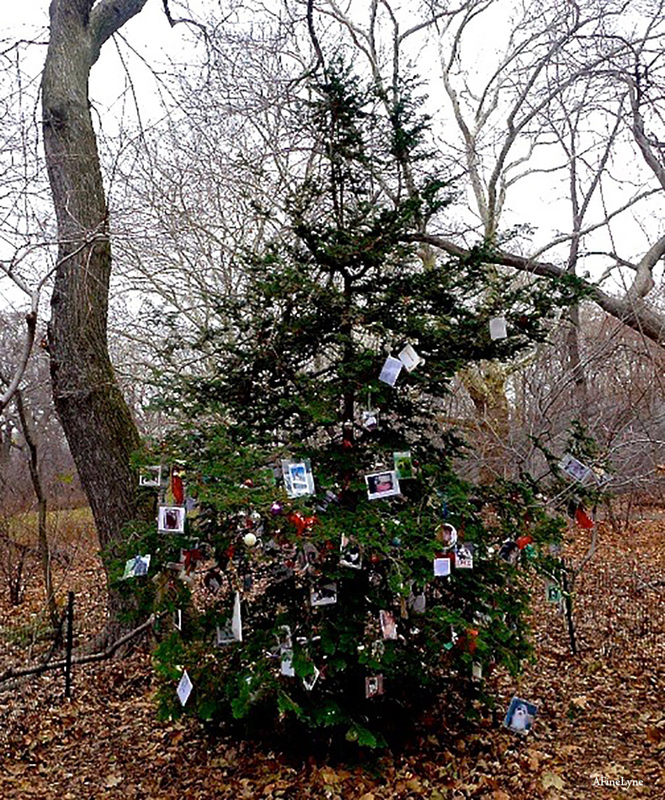 And it was with great delight that we finally spied a group of people, dog’s on leaches in hand, gathered around a tree, chatting quietly, and hanging ornaments. 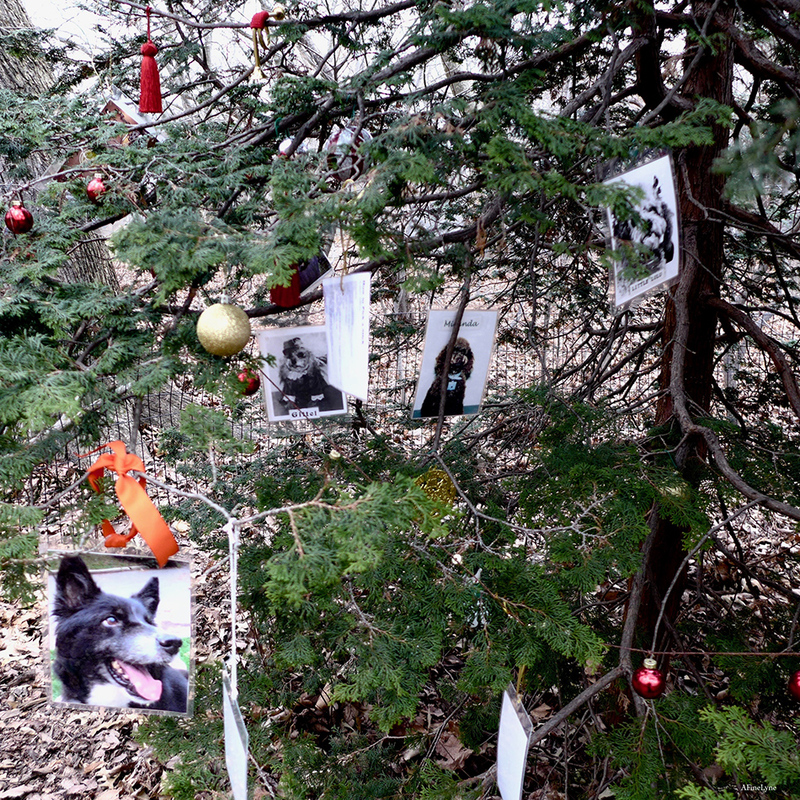 This was it ~ the secret Holiday Memorial Tree to Pets. 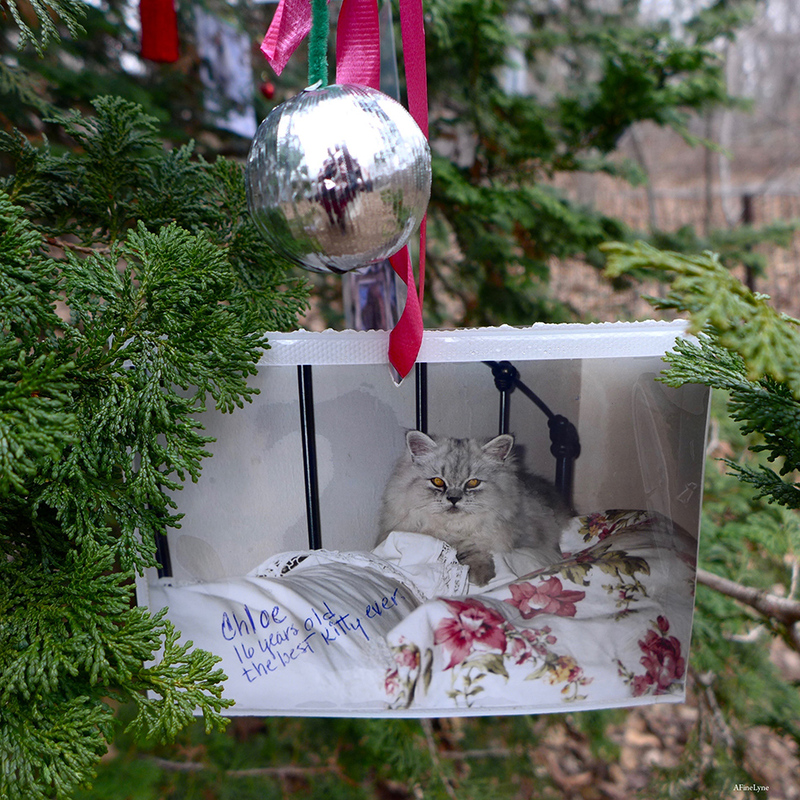 The ornaments, all shapes and sizes, were lovingly put together with photos of departed pets, laminated and hung with ribbons and an occasional pet toy hanging by a hook. All kinds of pets were included. 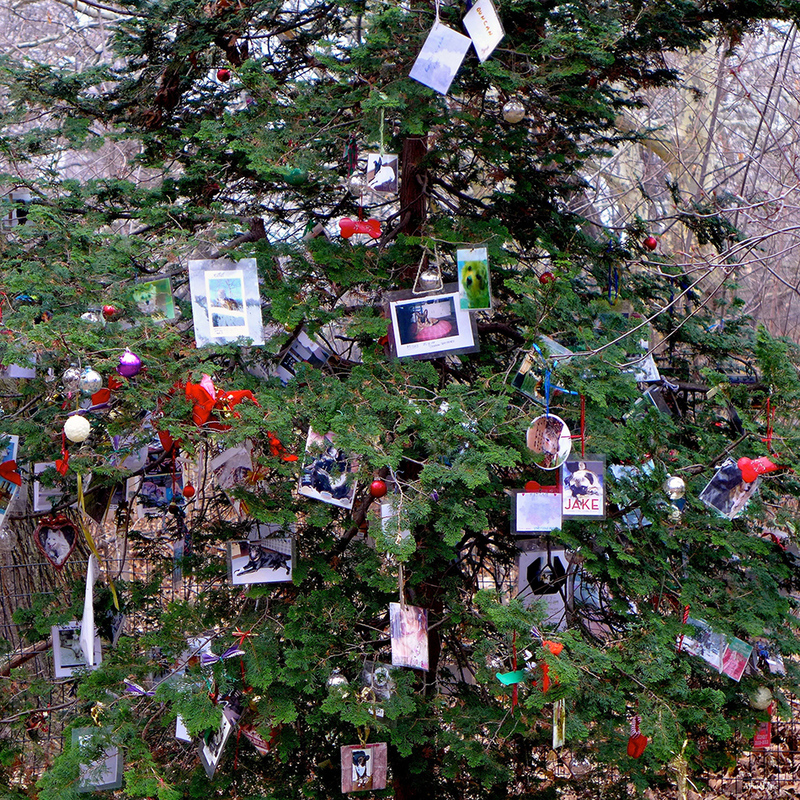 We don’t know how long this tradition has existed, but each year by mid-December, the tree is filled. 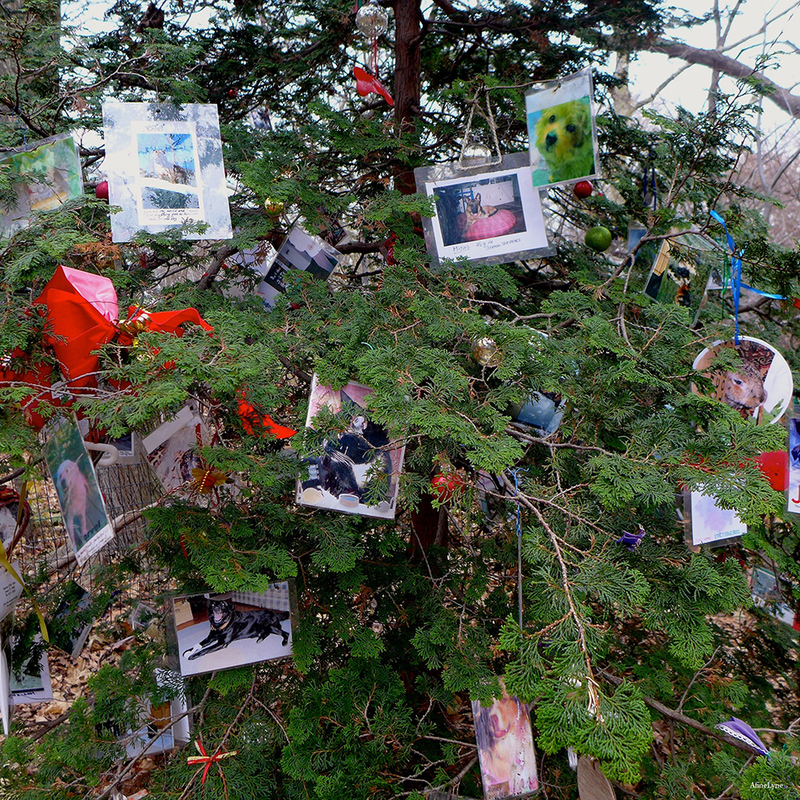 The location of the Memorial Tree to Pets is a secret we honor, known only to those who meet to share an ornament and a memory. Having lost an 18yo dog who used to love running in CP, I would really love to get any info about this walk or location. Feel free to email me privately. Next Next post: Get Ready for a Carnegie Deli Pop-Up in Nolita!